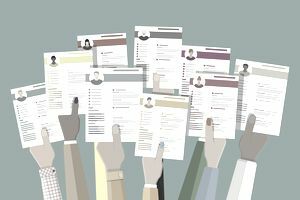 If you are seeking a job outside of the United States, be aware that many employers will ask you for a curriculum vitae (or “CV”), perhaps with an accompanying profile, rather than for a “resume.” This can be confusing, since in the US curriculum vitae are used almost exclusively for jobs in academia, scientific research fields, and the medical professions. US CVs are credential-based, using functional categories to list one’s education, publications, honors and awards, research experience, training, and professional appointments. International curriculum vitae, though, are structured more like resumes, with a few important differences. Depending upon the country to which you are applying, you may be required to provide personal information which it would be illegal (because of age discrimination and other EEOC employment laws) for employers to solicit in the United States. The types of information that you might need to provide include your date and place of birth, nationality, gender, your marital status / number of children and their ages, your language skills, religion, health status, and / or your passport number. Many international employers also require candidates to include pictures on their resumes. Preparing an international curriculum vitae will take more research and effort than drafting a US resume or CV. Fortunately, there are resources which can help you. Here are important steps to follow. Do your research: Before you start writing your international CV, find out what the particular requirements are for the country you are targeting. One good source is VisualCV, which lists the elements required not only for regions (North America, Australia, and the United Kingdom, Europe, the Middle East and Africa, Asia, and South America), but also for a few of the individual countries within those regions. Determine Optimal Page Length: Different countries have different expectations for the length of CVs. In Germany and Greece, five-page CVs are common; in the UK, two is the norm. Decide upon your format: Most international CVs, like U.S. resumes, are structured using a reverse chronological format, beginning with your most recent job. However, it can also be effective to use a functional format when you want to emphasize your skills and expertise (either because you lack real job experience or because you are making a significant change in career field). Think about tone: In western countries, resumes are typically personal marketing documents where you are expected to “toot your own horn,” showcasing the professional and personal strengths and achievements that allow you to rise above your competition. In some eastern countries like China, however, job candidates are expected to write more modestly. Translate your CV: Although not all international jobs require that you speak the language of the country where you’ll be working and residing, many do. The best way to prove your linguistic competency is to translate your CV into the language spoken by the employer. If you doubt your proficiency, have a native or advanced speaker proofread your translated CV for errors. Spring for a professional headshot: If you are submitting your CV to an employer that requires a photograph, have a professional one taken. This is an example of an international CV. Download the international CV template (compatible with Google Docs and Word Online) or see below for more examples. My cosmopolitan background and analytical interests in other cultures together with a command of several European languages allow me to manage multinational workforces that require the reconciliation of different national approaches to the performance arts. A proven leader with deep expertise in operations, production, and human management techniques, I quickly adapt to new challenges and easily motivate production project consensus, approval, coordination, funding, staging, and launch. Coordinated and managed 500 front-of-house, back-of-house, administrative, maintenance, and marketing staff. Initiated new digital marketing campaign that increased average audience sizes by 40%. Supervised planning for €1.5M renovation of historic building premises. Coordinated Contemporary Music performances by high-profile groups from the United Kingdom, Japan, Africa, and South America. Negotiated cost-effective contracts for new stage lighting and audio equipment. Liaised effectively with major media outlets and social media influencers to increase public awareness of concert hall events. Sample international, academic, and general curriculum vitae including additional templates, samples, and examples. Here are details on when to use a curriculum vitae, rather than a resume, what to include, and how to write it. FAQ: Curriculum Vitae or Resume? Here are some frequently asked questions about the difference between CVs and resumes.